Copyright enforcement is no game, as the owner of T&T Copy Centre, a popular U of T photocopying centre, has learned the hard way. Duc Ting Nguyen has been sentenced to six months in jail after police found illegal course packages being produced at his business. He was found in contempt of court on January 13 after years of surveillance and prior legal actions taken against him. He pleaded guilty to the judgement. Nguyen’s T&T Copy Centre is located at the corner of Bloor and St. George Streets. Its proximity to the university and the availability of “bootleg course booklets” have made it a go-to place for U of T students’ photocopying needs. Initially charged in 2008 and ordered to stop making course packages, Nguyen continued up until January 2012 when he was caught again. Savitha Thampi, associate legal counsel for plaintiff Access Copyright, stated that Nguyen was ordered to pay $132,000 in statutory damages in 2008. “After a series of court orders, settlements, seizures, and inspections, Access Copyright brought a motion to the Federal Court for an order to find Mr. Nguyen in contempt of the 2008 Federal Court judgement,” Thampi said. Access Copyright conducted its own investigations in the community, and found that T&T Copy Centre had violated the prior Federal Court judgement. Dave Spiros, the owner of neighbouring Willow Books, was not surprised by Nguyen’s problems. Spiros did not want to get into details about the actual seizure of material, but he said that he saw it coming. “This happens on a regular basis, and his store has been closed for periods of time before,” he said. Despite the copying centre’s closure, students continue to go to the shop on a regular basis. Employees from Willow Books have had to redirect them to other copy stores located on Bloor Street. What happens if the TAs strike? CUPE 3902 has recently agreed to send its agreement with the university to ratification but a union-wide strike is still a possibility. In the event that a strike does occur, all bargaining unit members — TAs, course instructors, exam invigilators, and lab demonstrators — will stop working under the labour conditions set out by the administration. Members can still perform their academic duties by their own volition but will be urged by the union to picket. The university will remain open during a strike and has said it will not impose a lockout on union members, which would allow them to work should they choose to. It will keep operations running as smoothly as possible in the event of a strike, allowing students to finish their courses within the expected timeframe. “One of the most significant aspects of my identity has been my sexual [orientation], as it has been questioned by myself and by the people around me,” says Ricky Rodrigues, political and educational coordinator for LGBTOUT. Born and raised in Toronto, Rodrigues says that he continuously battles discrimination at U of T because of his open sexual identity as a queer male. 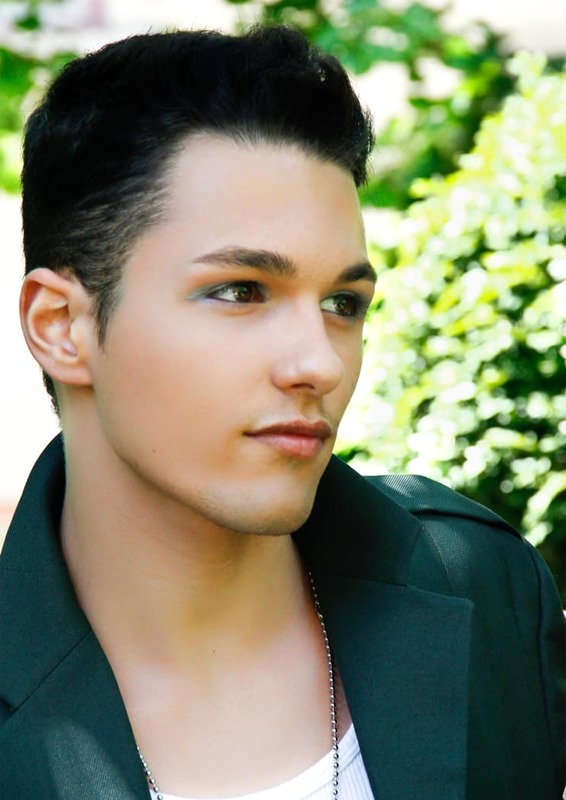 Although Rodrigues was bullied throughout elementary and his first years of high school, he claims that once he came out it was easier for him to deal with societal pressures and intolerance. In grade 12, Rodrigues was puzzled that though his high school commemorated the holocaust and celebrated black history month, there was strong resistance to promoting homophobia awareness. In response, he initiated The Rainbow Project, which celebrated queer identity and offered workshops educating teens about homophobia and equity. Now a second-year sociology student, Rodrigues says that his past struggles confronting homophobia inspired him to be involved in student life and activism. As the political and educational coordinator for LGBTOUT, he reaches out to the community through different events and discussion groups that address issues of homophobia, intersectionality, and identity. Despite these efforts and U of T’s positive space, Rodrigues still encounters discrimination at the university. “The sad thing is that the homophobia still happens at U of T — like the graffiti in the washrooms; or when I’m sitting in class and I hear people whispering and giggling at my appearance right in front of me. I don’t let it get to me, but it’s still there. You’d think that it wouldn’t happen in university,” says Rodrigues. “But what upsets me more is seeing some of the issues other queer-identified students face. Like women and trans, they have a small group to rely on and more resources are needed for them,” he continued. Rodrigues believes that not only is U of T still very traditionally heteronormative, but that some programs of study don’t appreciate the intersectionality of experiences in course materials. To illustrate his point, Rodrigues discusses how some case studies used in classes do not distinguish between the experiences of an upper-class, white, heterosexual male versus those of a homosexual male of a different race or social background. “Whenever an example is used in class there is still a lot of use of heteronormative examples and I don’t feel like I can relate… I don’t see the experiences that I’m going through being reflected in the material,” he says. He says that U of T must engage in a wider initiative to increase awareness about diversity. In spite of his frustrations, Rodrigues commends the efforts of the SGDO and other equity offices that promote inclusion at the university. At the same time, he thinks that a more vigorous campaign addressing discrimination is needed. “I’m very glad for my overall experience at U of T, but it’s time for a more a intensive positive space campaign, more than just stickers,” urges Rodrigues. Will lecture halls be obsolete? A document obtained by the Canadian Press news agency outlines some drastic recommendations that would radically alter teaching practices at post-secondary institutes across the province. The report calls for a transition to online courses, moving a third of classes out of the lecture hall and onto the web. Under the plan, students would take three of five courses electronically. The plan also encourages year-round teaching and an increase in summer programs, as well as the introduction of three-year degree programs. The proposal, dubbed “3×3” aims to reduce university spending by 3 per cent yearly for three years. Student lobbyists have objected to the recommendations of the report. “How far behind are Ontario students going to be with the rest of the country, with the rest of the world, if most of the learning that we’re doing isn’t even in front of a lecturer that we can then approach for assistance?” said Canadian Federation of Students–Ontario chair Sandy Hudson in an interview with Canadian Press. Another study released late last year by the Higher Education Quality Council of Ontario raised concerns about student anonymity in online teaching, especially among first-year students. “A student’s sense of belonging and ability to connect with teaching staff and other students played an important part in fostering student engagement and better learning outcomes,” read the HEQC report. It is unclear whether the provincial government intends to act on the report’s recommendations. In response to a complaint by five primatology graduate students, U of T has suspended the use of non-human primates for use in all scientific research. The issue gained traction following the death of two crab-eating macaques after seven years of experimentation while in captivity at the Faculty of Dentistry. The primates had been used for research investigating movement and pain in the human mouth. Used to study the brain’s mechanisms for sensory and motor functions in the face and mouth, the macaques had electrodes implanted in their brains to stimulate and record activity. The lead researcher of the study insisted that the monkeys were never in pain. The graduate students requested that the macaques be released at a sanctuary upon completion of the experiment. The request was refused because the brains of the macaques had to be dissected in order to verify that the correct areas of the brain had been stimulated. “It was always the intention for this study that, in the end, the animals needed to be sacrificed,” said Peter Lewis, U of T’s associate vice-president, research in an interview with The Globe and Mail. However, the students maintained that the crab-eating macaques possess a high level of intelligence and emotion, and their living conditions and treatment during the experiment were unconscionable. The students pointed to evidence suggesting that the primates are capable of using tools, like axe-shaped stones to crack open food such as oysters, bivalves, and crabs. The use of non-human primates in scientific research has raised concerns about ethical boundaries in the past. According to the Globe, larger Canadian universities haven’t housed research primates for decades with the exception of the University of British Columbia, which is currently carrying out experiements on a few small monkeys. An online tool developed by a U of T professor, once standardized, may help Ontario alleviate the problem of impaired driving by those over the age of 80. A 2010 Ministry of Transportation report found that 15.5 per cent of impaired driving cases were attributable to cognitive dementia. Brainscreen, a tool developed by psychology professor Konstantine Zakzanis, recognizes early signs of the condition. The current test used on elderly drivers “doesn’t test psychomotor speed, information processing, [or] the ability to handle a crisis,” said Mark Rapoport, a geriatric psychiatrist at Sunnybrook Health Sciences Centre. The hacker who disrupted the University of Western Ontario’s (UWO) student union elections will be criminally charged, the university’s campus police have confirmed to The Gazette. Alumnus Keith Horwood admitted to hacking the student union elections website and adding references to Justin Bieber’s haircut and Selena Gomez in a video he posted on YouTube earlier this week. In the video, Horwood offered his “sincerest apologies” to the student candidates participating in the elections and confessed that he felt tempted to hack the website after discovering an obvious “security flaw” in it. Due to the hacking, the 10,000 votes cast have been tossed out. The election was suspended. The student union has scheduled a new election from February 29 to March 1 at a cost of $1,000. For the fifth consecutive year, U of T was named one of Canada’s top diversity employers according to a Mediacorp survey. The annual survey ranks companies and institutions based on their hiring and support of employees who are women, visible minorities, disabled, Aboriginal, or LGBTQ. U of T consistently hires underrepresented groups and supports current employees through organizing groups such as the Queer U of T Employee Resource Group and providing seminars on mental health accommodations in the workplace.